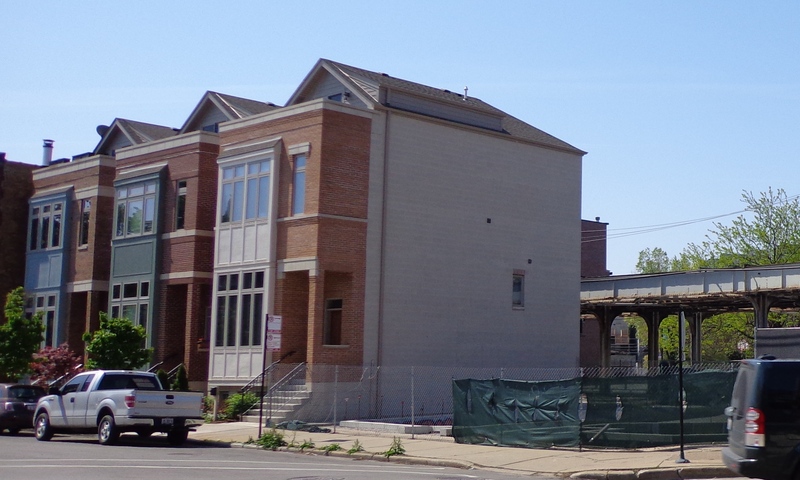 In 2005 – When the CTA tore down 2/3 of the houses on the west side of Wilton to construct the new Belmont station, CTA officials guaranteed that all these residential lots would be placed back on the market by 2009 when the Brown Line project was completed. That didn’t happen. Now, it’s 2015 – And the west side of Wilton is a vast, dusty, gravel parking lot owned by the CTA. The lot has no drainage or pavement because, the CTA explains, “We don’t have to.” Facing the CTA parking lot, homeowners on the east side of Wilton saw their property values plummet. According to the CTA, when the new Brown Line flyover is constructed, all the currently 77’+ deep lots on Wilton will be reduced to a depth of 30’. But – the CTA now promises – there will be lovely town homes there soon. To prove their point, CTA reps proudly provided a Lakeview community group with photos and addresses of existing town homes they claim fit nicely on 20’ deep lots along on the El tracks on Bissell St. So, we measured. Turns out, the town homes on Bissell St. actually are over 40’ deep, and sit on lots over 55’ deep. Guess they thought we wouldn’t check. The CTA consistently presents the Flyover as very low and politely hidden behind shiny new buildings. 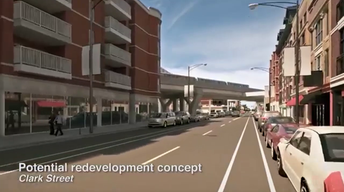 The flyover tracks will be at least 45′ high, including the train, over 60′. None of the buildings in the illustrations will fit on the lots left after construction. Guess they thought the public – and federal, state, and city funders – all would fail to check. If the CTA is allowed to build this unnecessary “signature project”, Clark St., Wilton and Central Lakeview will be left with blocks of permanently useless space, towering El supports, gravel and noise .